Originally from Mequon, Wisconsin, Myles Hayes studied vocal performance at Texas Christian University . 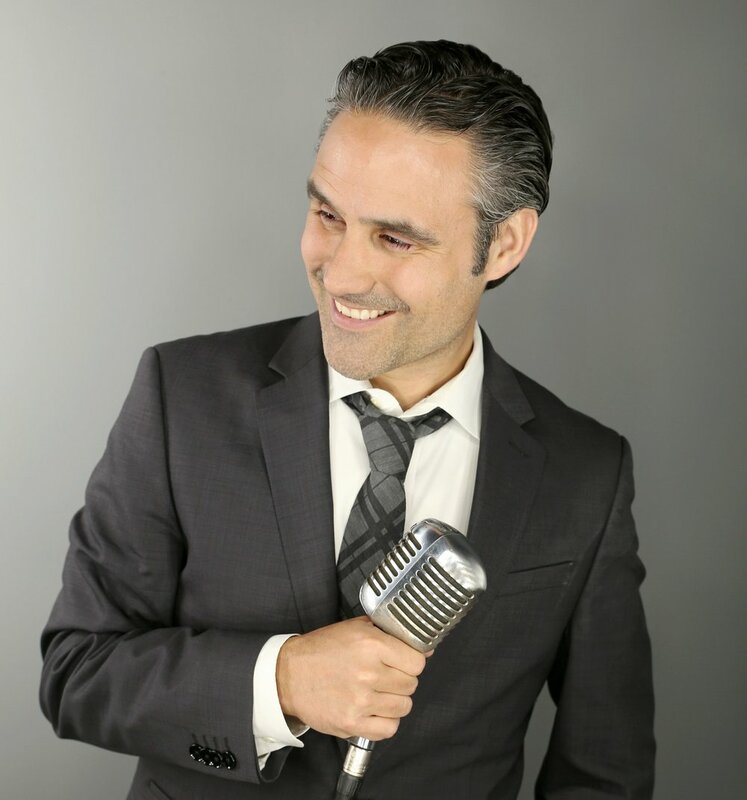 Beginning his career performing in venues throughout the Midwest, Myles focused on such influences as Frank Sinatra, Dean Martin, Bobby Darren, Tony Bennett and Nat King Cole. He recorded his first album entitled “Empty Tables” in 2005 and his second album entitled “Night & Day” in 2007, both produced by Grammy Award Winner Jordan Richardson at Fort Worth Sound. His latest album, “You Were Mine” debuted in 2014 and is available on iTunes. Myles' voice has been heard on National & International Television in commercial advertisments for companies such as Mistubishi & BNI Bank. Now based in Chicago, he has performed professionally in hundreds of venues throughout the city and across the country. He can be found singing regularly at many iconic locales such as The Ritz Carlton Chicago, The Chicago Firehouse on Michigan Avenue, London House Chicago and The Drake Hotel. He is regularly featured as the pre-game entertainment or performing the National Anthem for the Milwaukee Brewers, Chicago Bulls, White Sox and Cubs. Myles regularly provides entertainment for private and corporate events working side by side with many incredible musicians and entertainers, from simple duos to full band appearances. He has also performed live on Chicago's WGN Morning Show and Milwaukee's WTMJ 4's The Morning Blend.